Life calls for gradual change, and when that change is neglected or ignored, things begin to be torn apart. It’s easy to get stuck in a loop; to find a rhythm, a comfort zone, which remains unchanged and untouched for what seems like years. These blinders inhibit growth, and as Essenger’s “Eyes Closed” showcases, it leads to nothing but heartache. 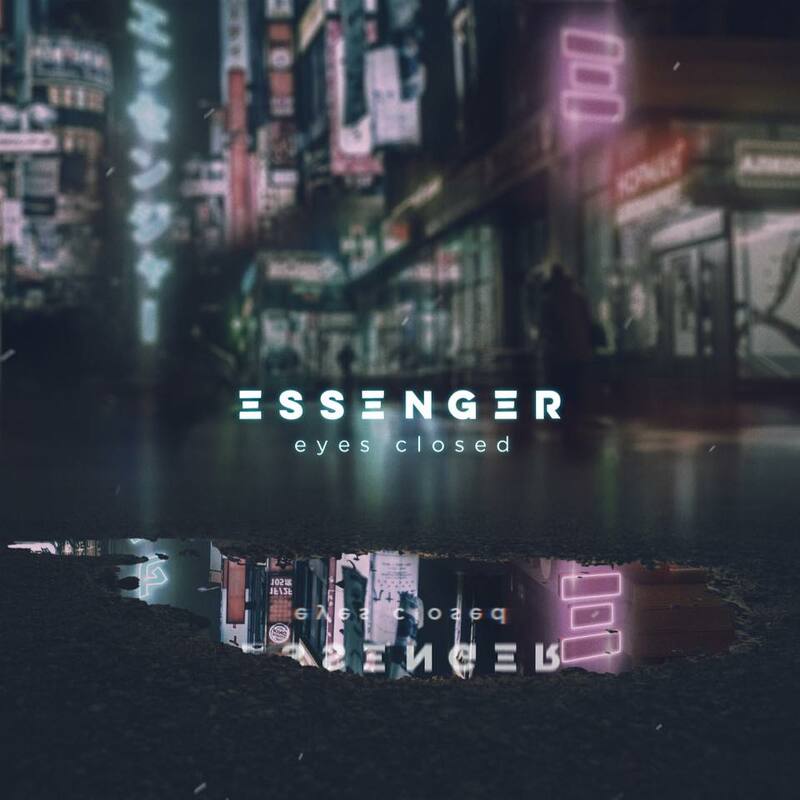 Kansas City producer and composer Jeff Simpson creates rich, stylized electronic and acoustic melodies under the guise of Essenger. Through his musical creations, Simpson gives a voice to his emotions, allowing for an open dialogue to occur with listeners that creates a space where personal stories can be shared. In a way, the music his the feigning chair in which Simpson rests on, giving each track he produces a personal touch that elevates his music above other artists in his field. With “Eyes Closed,” Simpson gives it his all and creates a powerful performance filled with grief and sentimentality. The track begins with his soft vocals giving a background of the hurt he’s holding in. His singing is tinged with sadness, adding a little extra weight behind every lyric and note that is sung. Accompanying the vocals is a smooth production of twinkling synths that add a nice electronic texture into the mix. This combo does a phenomenal job at creating a soundscape that blends worlds together and allows for a dream-like trance to be induced on those listening. As the second verse begins, the listener can clearly see the issues following Simpson. It’s easy to be happy when one closes themselves off to reality, ultimately living in denial. It’s here that the listener receives the visual of love and loss, the desire to live in a fantasy as the truth is too painful or difficult to see with eyes wide open. After the second verse, Simpson’s productions take center stage. It starts with a synth drum beat that is soon taken over by soft touches of electronic shimmers. Then, an onrush of emotion and synth productions steal the show. The last minute of the track is this gorgeous arrangement of heavy synthwave melodies and beats. What seemed like the track’s end was merely the introduction. It’s bustling, it’s loud, and it’s raw. It acts, in a way, like a follow up the heartbreak. After a period of despair, agony and perhaps anger roll in. It’s explosive, and the production Simpson created matches these emotions with perfection. And like a wave of unstable emotions swarming our minds, it always settles down. At the track’s end, those twinkling synth melodies return to carry the listener back down with a gentle touch. The blending of singer-songwriter lyrics and a vocal performance with the rapid melodies of electronic productions is a niche Simpson is filling with distinguished splendor. Despite the somber tones presented, it’s filled with an undeniably catchy melody and rhythm that would leave anyone with the craving to get up and move. It’s not hard to see the talent Simpson possesses, making Essenger a solo-project that is worth keeping an eye on.